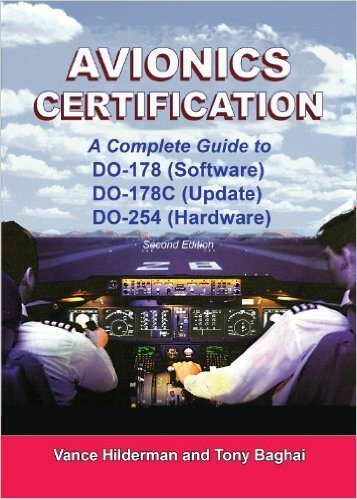 This book explains the most critical safety certification required by commercial and military aircraft. The authors describe each step in creating and submitting formal documents for government approval. Their advice is highly practical, acquired over 20 years of performing successful certifications now flying aboard every major airliner and many military aircraft. The book includes dozens of real-life anecdotes to show where applicants go wrong, fall victim to common myths and waste time with misconceptions. The authors approach avoids the abstract by delivering clear advice on such practical matters as budgets, staff members, tools, programming languages and schedules. They give numerous rules-of-thumb for guiding the reader along what can otherwise be an arduous path to certification. Although the book deals with each milestone of a program, the authors point out, We don t teach regulations, but how to think like the FAA! That approach has worked for scores of companies, helping avoid damaging overruns in budgets and schedules. As DO-178 (software) and DO-254 (hardware) certification become established in aviation, they are spreading to other industries, such transportation, medical instruments and power generation. As in aviation, these technologies are now in the digital world, and need to meet high standards of safe operation demanded for aircraft. Increasingly, these other industries are required to meet DO-178/254 certification. As the authors explain, the official DO-178 and DO-254 documents are not only vague and non-specific, but have to be! The reason is, they need to apply to a wide range of systems. The authors meet the challenge by skillfully interpreting the intent of the documents. They have been doing it for years in world-wide seminars that have trained more people than all other seminars combined. Their book is the first text on this critical subject. 28. Cost Estimation and Metrics Glossary.